[ ]…The challenge of bridging this disconnect is easy enough to declare; but it goes against deeply ingrained habits and conventions, not to mention the design of the system itself. For the disconnect is actually plumbed into the western world’s water systems, which are created to render not only the user but also the impact of use invisible. In our modern contemporary bathroom, the process — the goal — is to “flush and forget” — to remove the sight and, possibly even more important, the smell of our waste. The vast majority of people take for granted that treated, potable hot-and-cold water will be on tap 24 hours a day and that waste will be speedily flushed away. Our everyday routines, our standards of hygiene, and our understanding of civility are all constructed around these ordinary facts. We tend to assume that access to water and its unfettered use is our right and we do not spare much thought as to what happens before or after. 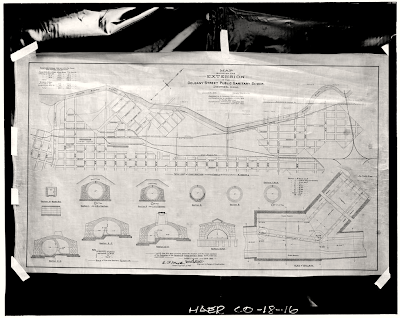 Plan for the extension of Delgany sewer. Thirty-first Street Overflow Structure, Thirty-first Street, Denver, Denver County, CO.
Just as every generation creates new standards for what tastes good – refined sugars and processed food becoming the new normal. Macaroni and cheese out of a box becomes a wistfully remembered old favorite. Something similar occurs with technology. 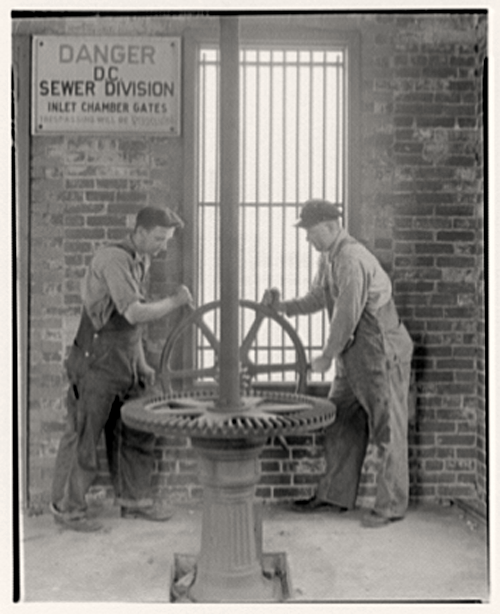 Old technology, even something as fundamental as water works to having what we think of as civilized society with all its infrastructure is viewed nostalgically. Turning a faucet handle – and that is not even required with sensor activated faucets, flushing a toilet, all quaint old stuff that many no longer even associate with technology. At least until the next bad storm or water shortage. Penner thinks part of the reason waste water and the bodily functions that go with it, besides taking old technology for granted is not worthy of the same kind of credit we give the internet for advancing civilization, is the privacy aspect of the bathroom. We discuss what we do on the internet all the time. More than have the casual conservations I have begin with something someone read or watched on the net. With the exception of some occasional crude bathroom humor, we don’t discuss our bathroom routines. 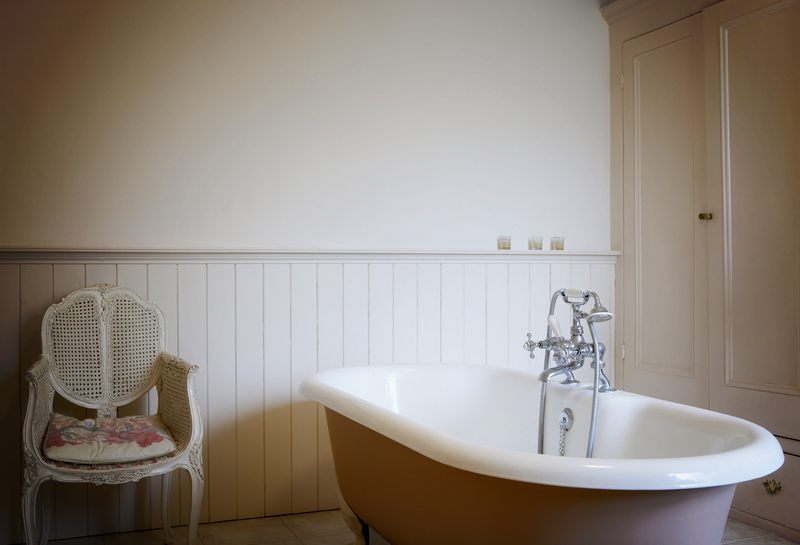 Even though we probably spend most of our bathroom time bathing or brushing our teeth, bathing, once a public affair that required either going to the nearest river or lake, and later public bath houses, is either considered not conversation worthy or a personal matter. It is also a mental image instantly pictured because people do not bath or shower with their clothes on. There is also the hidden nature of waste water technology. We have this tub and a few little pieces of plumbing coming out of the wall. Sometimes it is is basically a tiled closet with a drain. What the user sees and relates to is the water works virtual user interface. Not the pipes in the building. Certainly not the underground aquifer, the dam, the reservoir, the massive pipes big enough to walk through. And who wants to think about the sewerage or waste water treatment plant. 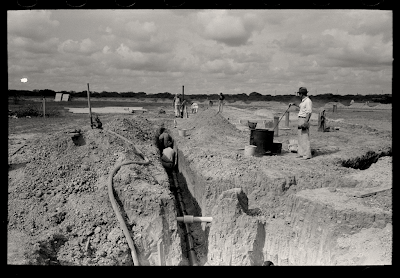 Lakes of everything humans can flush down a pipe. Not as cool as clicking on a trash icon and having a neat little sound effect. 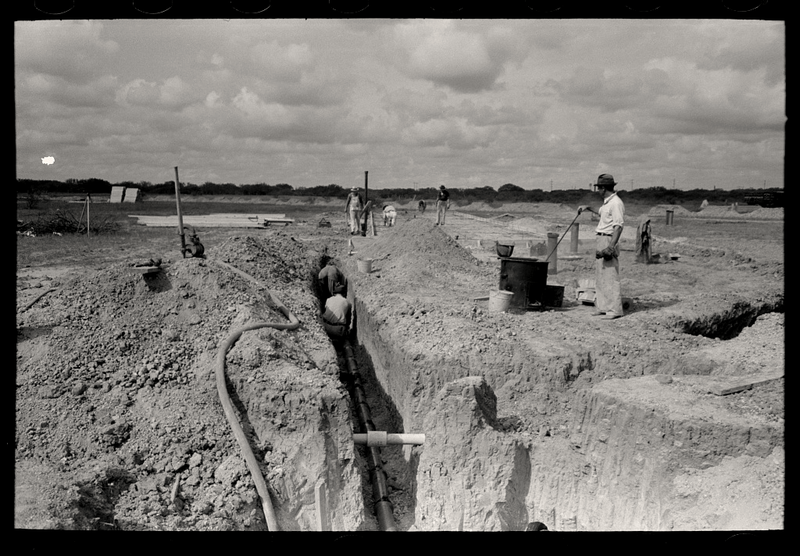 Laying sewer pipe at migrant camp under construction at Sinton, Texas, 1939. photo by Russell lee. Penner takes the sociotechnical view of waste water. The interweaving of the social attitudes, creativity, engineering and now vast commercial enterprises that was created by social attitudes about bodily functions and cleanliness. Modern dams are expensive and very sophisticated engineering endeavors. They have huge social, economic and ecological consequences. The wells that extract ground water only slight less so. there is the requirement for a deep understanding of hydrology. Structural engineers, hydrologists, electrical engineers and technicians, pipe manufacturing, toilet makers, welders – all require education and training. providing water and waste treatment for millions of people is not a lone endeavor like finding a mathematical proof. This is where dogmatic adherents to the lone utterly self sufficient individualism meets a rock and a hard place. Water supply and water treatment was a major driver for the study and creation of the whole concept of public health. If one person gets sick from one piece of bad fruit that may or may not be a public health concern. When hundreds or thousands become deathly ill because of tainted water or human waste being dumped into the source of a towns’ drinking water it stops being a personal matter and becomes a matter of public health. Suddenly someone who has been, say, been tanning leather for years near a local tributary, and dumps their waste in it, and has, what they perceive as traditional individual rights to run their business as they please, has those ‘rights’ curtailed in the name of public health. We studied what made people ill in order to understand contaminants and diseases, and how those diseases spread. Men turning gear wheel. International Nickel Co. at District Sewer Department, ca. 1920. Photo by Theodor Horydczak. Waste water, water works and bathrooms are also an extension of gender roles, race relations and social norms. Women go to one room and men to another in public restrooms. In men’s rooms especially there is a generally code of conduct. Eye contact among men in public spaces is probably lower than any other public space because of taboos about being viewed as gay. Far from resenting the disciplining design of bathrooms, many users welcome it as a necessary means of protection from physical attacks and bullying or from contamination of various kinds by some “Other.” And of course such concerns about safety and health can be prompted not just by real threats but also by broader social anxieties.When people worry that they might “catch something” in a public convenience, they often have in mind an illness or disease transmitted by a stigmatized social group (e.g., other ethnicities, homosexuals, the homeless). [ ]….It should not be forgotten that one of the first deaths of the American civil rights movement occurred when black activist Samuel Younge, Jr. tried to use a whites-only bathroom at a filling station in Alabama and was shot and killed by the attendant (who was subsequently cleared by an all-white jury). [ ]…Those for women’s conveniences, however, have been among the longest running and most far-reaching; having first begun in western countries from the United Kingdom to Belgium to New Zealand, these struggles are now reaching Asia, too, as female activists in Guangzhou demonstrated earlier this year with their Occupy Men’s Toilets campaign. Some important victories have been scored in the last two decades, such as the passing of American “potty parity” laws that mandate that there should be two female water closets provided for every one male — but as any woman who has recently been to the theater or even the London Olympics can report, the queue for the Ladies’ is in no danger of extinction. A modern, but retro decorated bathroom.